Conservative rabbis lifted ban on legumes earlier this year; Ashkenazic Conservative Jews to enjoy kitniyot for the first time this seder. 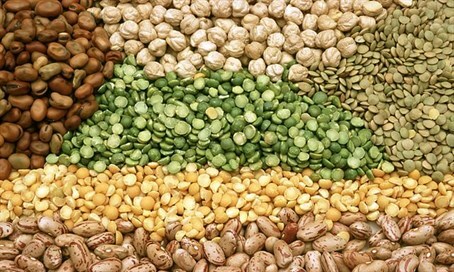 Conservative Jews of all origins will eat legumes (kitniyot) on Passover for the first time this year, following two separate rulings repealing the 800-year-old ban from Ashkenazic custom. In December 2015, the Rabbinical Assembly's Committee for Jewish Law and Standards approved a proposal by Rabbi Amy Levin and Rabbi Avram Israel Reisner barring the ban due to several factors, including minority opinions from several Orthodox rabbis throughout the centuries. They also noted the fact that the majority Sephardic population in Israel have made the kitniyot ban a minority opinion in Israel, where major customs throughout the Jewish world have originated during the last several decades, and also pointed to the high cost of non-kitniyot products during Passover, among other reasons. The same month, Jewish law professor and Schechter Institutes President Rabbi David Golinkin updated a 1989 ruling for Conservative Jewry allowing kitniyot consumption in Israel to extend to the Diaspora. The Orthodox community in Israel and abroad has debated the kitniyot issue frequently over the past several years, prompting controversy among supporters and opposers. The Conservative Movement, however, does not view Jewish law (halakha) as binding and therefore its leaders are more willing to change or annul mainstream Jewish traditions.